If you’re a first-time driver, there’s a good chance your first car will be a used one. And, with the way the economy is shaping up these days, a used vehicle could be a very smart choice. Buying a used car often means that you can obtain a vehicle that’s as good as new without the hefty price tag and high depreciation. In other words, your vehicle won’t lose thousands of dollars as soon as you leave the lot like a new car does. For starters, vehicles that are only a year up can be up to 20 or 30 percent cheaper than new vehicles. Other great reasons to buy a used car include: auto insurance savings, bigger possible bargains, a less intense negotiation process when buying from one person vs. a dealership, and available factory warranty. Used cars today are more reliable than ever before, due to the fact that you can easily trace their histories by using the unique vehicle identification number (VIN). Certified used cars, in particular, are very well taken care of and are still under a rather impressive warranty program. There are several types of warranties available on used cars: as-is (no warranty), implied warranties (including warranties of merchantability and fitness for a particular purpose), unexpired manufacturer’s warranties, and service contracts. The most important part of the used car buying process is research. It is imperative you learn all there is to know about the vehicles you (or your parents) are thinking about purchasing. When making your research choices, it’s important to think about your vehicle needs, your budget, and your driving habits. First, you should narrow down the type of vehicle you’re looking for (SUV, hatchback, truck, sedan, etc.) and then explore the different options available from several auto brands. It’s a good idea to do your research on several vehicles before buying a new car, even if you have a particular one in mind. This will give you several options with which to work, and it can even open up possibilities you hadn’t previously considered. Try narrowing your list down to three top choices that are available in your area. Once you’ve narrowed down your list, you should have a pre-purchase inspection done on the 1-3 vehicles in which you are interested. Though this will cost a bit of money, it’s much better to spend the extra cash at this stage than to pay thousands of dollars later for vehicle repair. The pre-inspection process can be relatively simple, and it can save you an incredible amount of money in the long run. There are several topics you’ll want to think about before reviewing your choices in-person. For example, you should always use Kelley Blue Book or another reliable source to determine the value of the used car being sold. If the price is on the high end of its quoted amount, you and/or your parents can probably talk your way into a better deal from the seller. You also want to know what kind of warranty is included with your purchase. Used cars are sometimes still under factory warranty, though many are not. The general rule is that most new vehicles are sold with a 3-year/36-thousand mile warranty, so if the vehicle you’re interested in is under this limit, the warranty should still be in place. With a certified pre-owned vehicle, you can be assured of a comprehensive warranty. 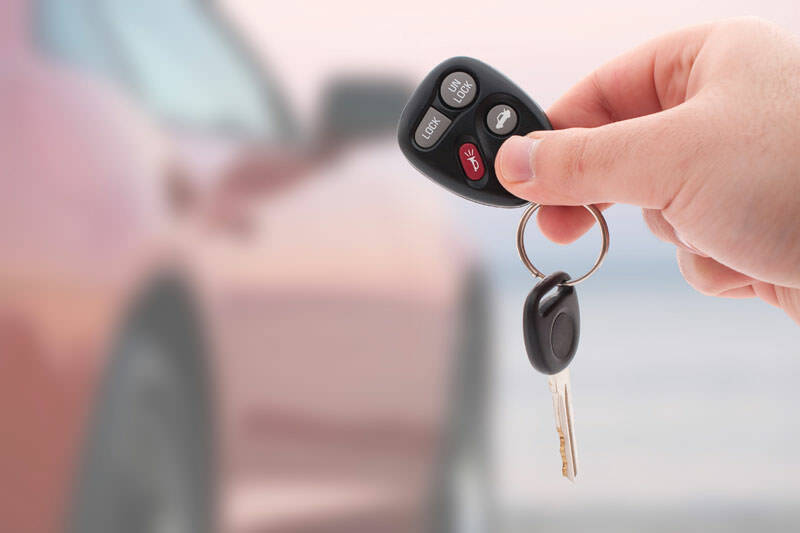 You should also be familiar with a vehicles standard features (including safety features), consumer and expert reviews, and resale value (in the event you decide to re-sell the vehicle). Last, be sure to find out the vehicle’s True Cost to Own (TCO) to receive an estimate for the vehicle’s total cost over the first few years of ownership. Frame damage, which indicates the vehicle has been in a serious accident. This can lead to serious issues later. Pre-purchase vehicle inspections can be very quick and convenient. Mobile inspections can even take at your home or office, with an inspector performing them on-site. An inspection report is then printed out and immediately handed over to the potential buyer. Inspectors also document any damage to the vehicle by taking photographs. Inspections done by mechanics or dealerships use more specialized equipment for their analyses. These kinds of inspection that is recommended because the vehicle can be inspected from underneath (with the use of a lift) as well. And, remember, though no inspection is perfect, they are usually spot-on in alerting you to potential problems. Another important step in buying a used car is asking for a Carfax or AutoCheck history report (or the equivalent from another company). These reports list vital information about the vehicle you’re considering, including the number of previous owners, major maintenance, and accident reports. You can even tell if the odometer has been rolled back or if an insurance company has declared a total loss (“salvage title”). Most car dealerships will give you the Carfax at no cost, but if you’re purchasing the vehicle from an individual, it will cost you around $35 for a single use or add four more reports for only $10 more. The latter would be the best choice if you are examining more than one vehicle. If you do find some problematic issues, be sure to get a “Due Bill” promise in writing from the dealership or individual (unless he/she is selling the vehicle “as-is”). This will assure you that the work that needs to be done on the vehicle is done before sale is completed. A smart used car buyer will know how he/she is going to finance the vehicle he/she purchases. Through a dealership purchase, one must think about a monthly payment and down payment that fits his/her budget. These figures add up to form a realistic price range for the buyer. It’s important to keep these figures in mind throughout the buying process. If your parents are footing the bill, the financing will likely be solely their responsibility, but you might want to watch the process for future reference either way. There are three ways to pay for your chosen used vehicle: with cash, with financing through the dealership through which you’re purchasing the vehicle, and through a bank, credit union, or online lender. Most individual sellers desire cash up front for a used car purchase, but this can be easily obtained through a bank or lender and then paid back in monthly installments. Taking this route also allows the buyer to stick with his/her budgeted monthly payment amount, removes his/her dependency on dealership financing, keeps dealership negotiation simple, and allows him/her to shop for competitive interest rates and receive incentives for paying off the debt ahead of time. If you do decide to finance, however, your parents/guardian must be involved, due to the fact that you are unlikely to have enough established credit. There are three choices for buyers looking to purchase a used car. Used vehicles can be purchased a dealership, at an independent used car lot, or through a private individual sale. While private parties often have the most reasonable prices and a more relaxed transaction process, dealerships do often have the ability to negotiate with you for a very low price on your chosen vehicle- as long as the figure is high enough to afford them a profit. Dealerships also offer warranty coverage when individual sellers do not. However, it’s important to note that individual used car lots usually do not offer the same kinds of warranties as larger new and used car dealerships. Private sellers can be found online, through “For Sale” signs in car windows, on bulletin boards, and in newspaper classifieds. Once you find an individual seller, call to set up a meeting. At the meeting, be sure to ask a lot of questions and do your own inspection. Verify all information (such as price) that has been previously listed about the vehicle. Most importantly, take the vehicle for a test drive. This step should always be taken when buying a used car at a dealership as well. If the test drive goes well and the vehicle’s history is clean, it could be the automobile for you! When you’ve decided which vehicle to purchase, be sure to keep your budget in mind. If you go above it, you could be very unhappy with your choice later. Also be sure to only negotiate with an individual with whom you feel comfortable. Start the negotiation by making a low offer that seems reasonable in accordance with your research. When the seller counters, know your limit, and do not go over it. You should also be patient during the process and leave if you get tired, frustrated, or hungry. You can always complete the deal later. Last, don’t be distracted by “add-ons” like anti-theft devices. These are often brought up to keep the vehicle’s price higher than you’re willing to go. Once you’ve completed all of these steps, it’s time to become a happy and satisfied used car owner. Be sure to do a final inspection of the vehicle right before you buy it by looking for any scratches or dents. Once you and your parents/guardian have cleared the vehicle, you can proudly enjoy your new purchase!